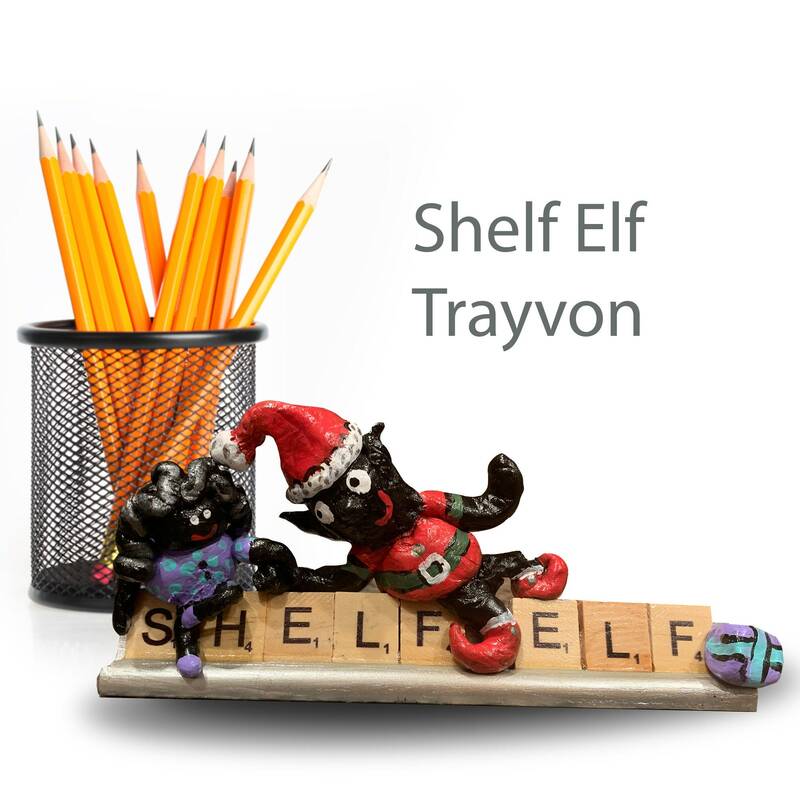 Trayvon the shelf elf is looking for his forever home. 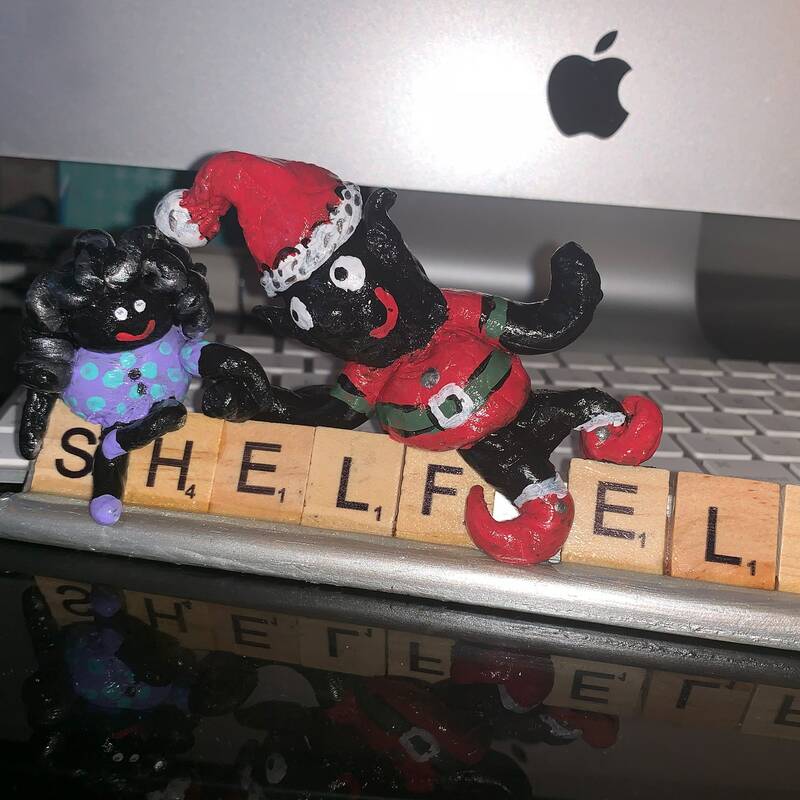 He sits with Dolly in her festive polka-dot dress of purple and teal. He loves smiling at everyone who passes by. 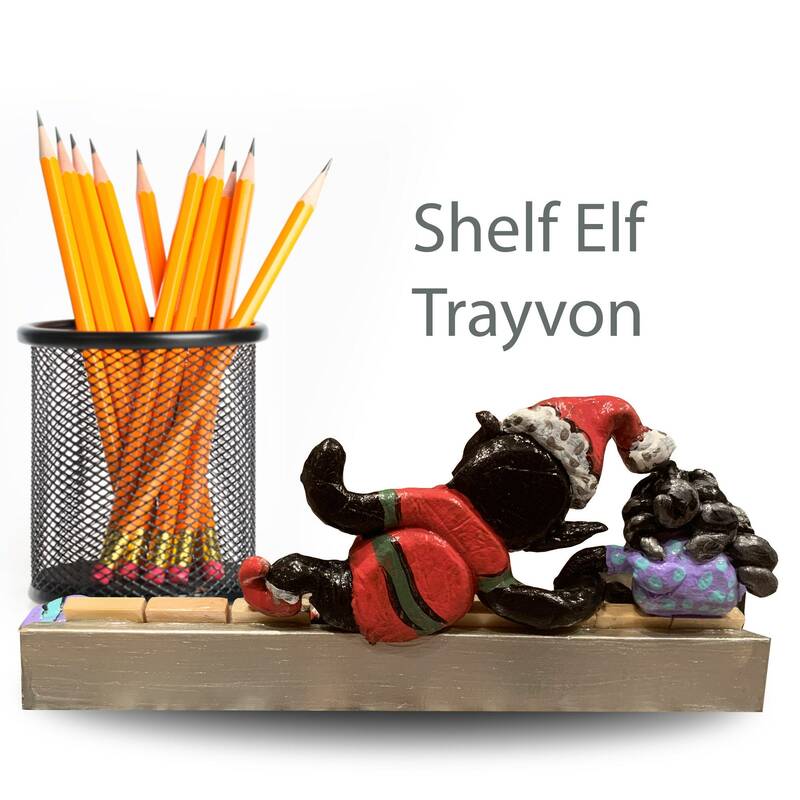 He is set to travel as soon as you are ready for his holiday visit.